The Phoenix sill-less is perfect where barrier free access is required, like assisted living facilities. 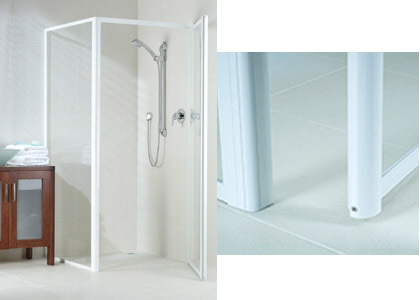 The Phoenix fully framed shower enclosures offer trusted and definitive design. Removing the sill allows for seamless, uninterrupted movement from the bathroom into the shower. Removal of door sill. The absence of a door gutter allows unobstructed access to the shower from the bathroom. Perfect for wheelchair access. Frameless top option. The optional frameless top screen allows for unrestricted height access to the shower area and free entrance to the shower.